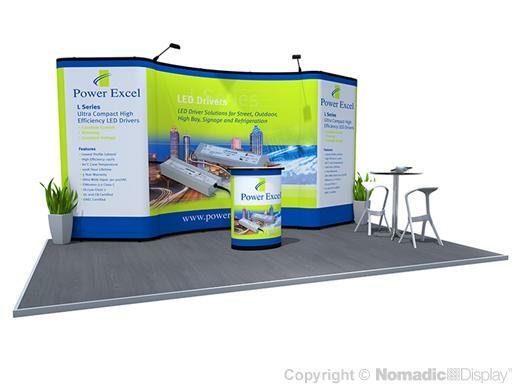 While Nomadic may be best known for Trade Shows, we have a proven track record of success designing solutions for event marketing initiatives. Our commercial interior design has visually transformed conferences, showrooms, visitor centers, museums and training facilities. 1 - RollOne Case - 42" x 26" x 22"
1 - RollPlus 38 Case - 40" x 16.25" x 20"
Copyright 2019 Nomadic Display. All rights reserved.